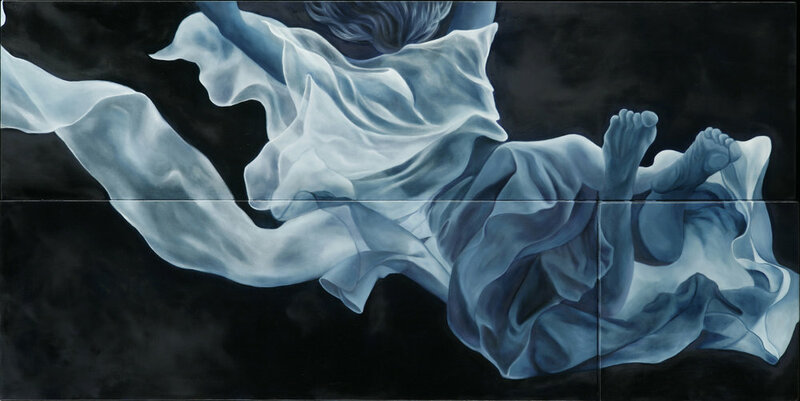 The luminous figures that Yvette paints emphasize the beauty of the human body in motion, using the fabric of their clothing as a vehicle to accentuate the form and its movement. 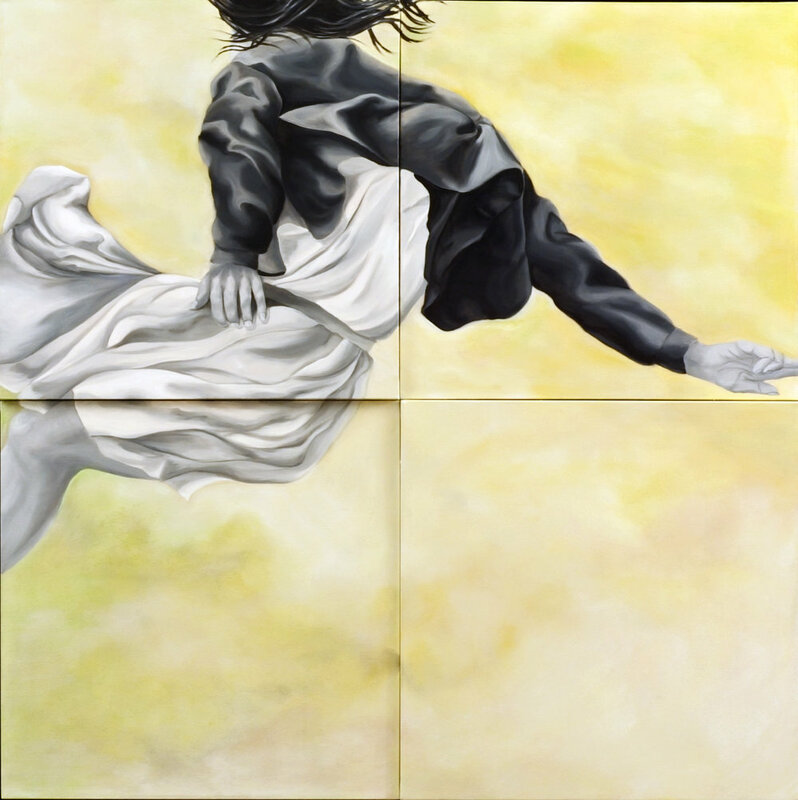 Yvette’s depiction of people being in a constant state of displacement, either stumbling, soaring, falling or rising is a form of poetry. 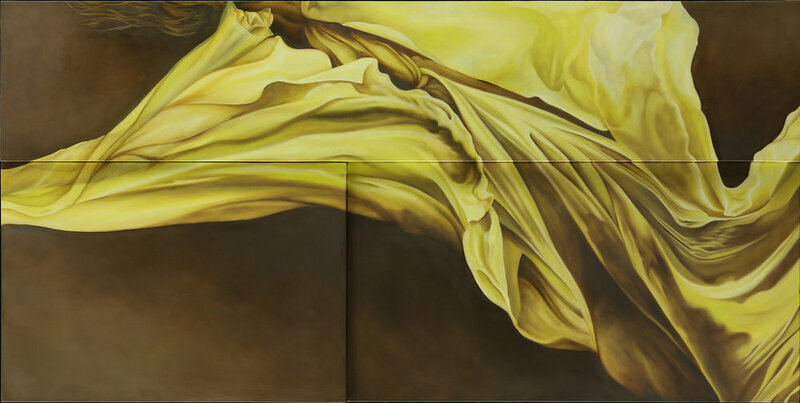 Providing more than the formal attributes to the work, these figures in transitionary moments can be interpreted as a commentary on the human experience, constantly engaged in not just physical movement but also psychological, emotional or spiritual ups and downs.